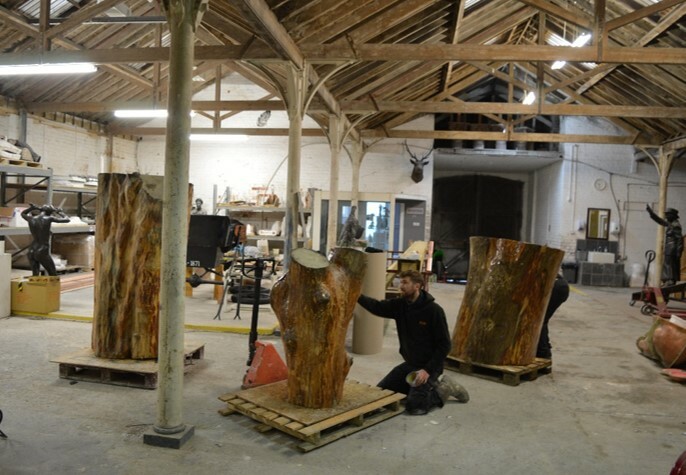 CAS Consultancy has been working with artist Kenny Hunter, Lendlease and Southwark Council to realise a new memorial for Southwark. It takes pride of place in Elephant and Castle’s new public space – Walworth Square. The memorial’s contemporary design depicts an anonymous 12-year-old youth standing on a giant, fallen ash tree. It bears the inscription “Against the armour of the storm I’ll hold my human barrier” – a line from a World War Two poem by Hamish Henderson. 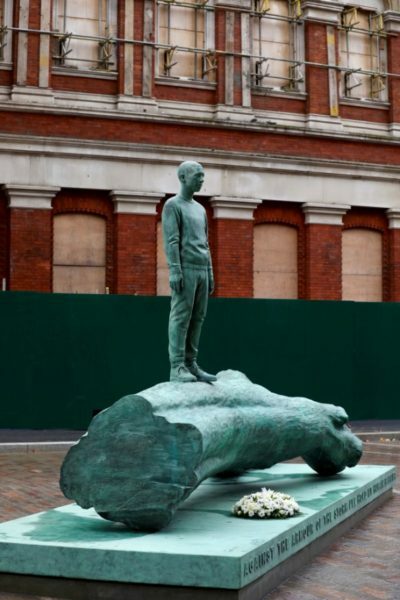 The striking bronze artwork has been installed in the year that marks the centenary of the Armistice and the end of the First World War. 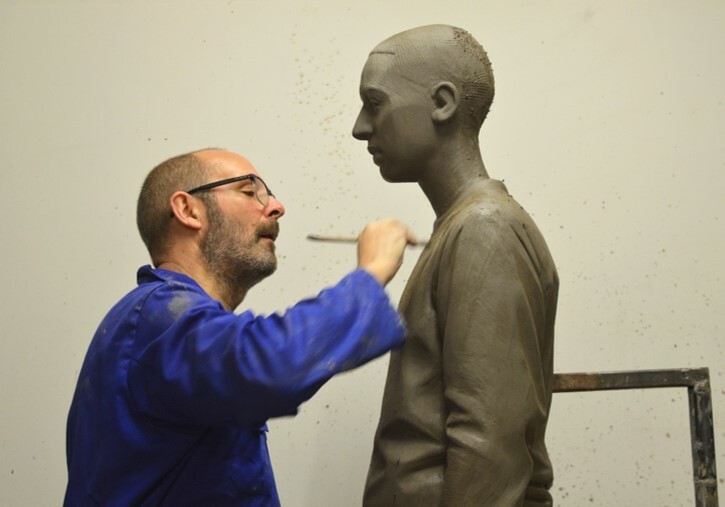 The sculpture has been commissioned to commemorate all the lives that have been affected by war and conflict around the globe, including the lives of members of the armed forces, civilians, refugees and others. 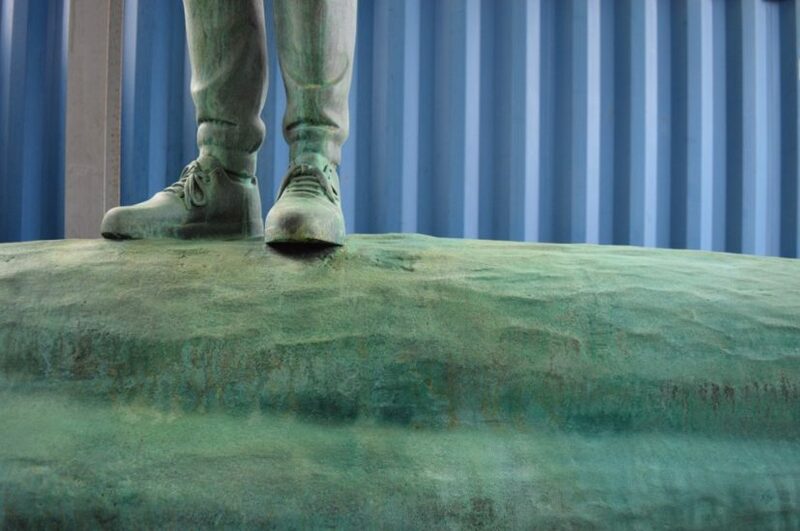 The Southwark Memorial project began two years ago, with artist Albert Potrony and curator Vivienne Reiss commissioned to develop an articulation of local people’s interests in commemoration and the role of the memorial in society today. A series of workshops and events with community groups was instigated by Potrony and fed into the ambitions for the memorial. 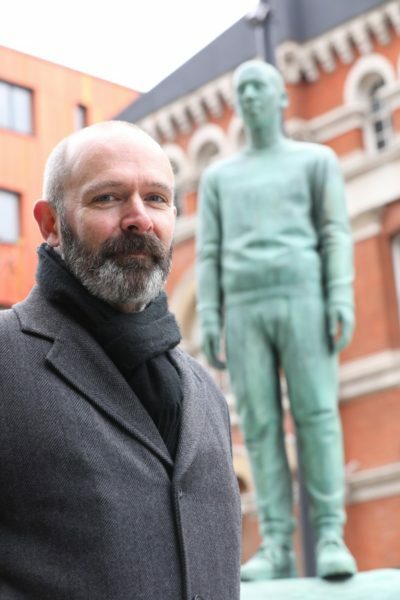 Kenny Hunter was appointed as the memorial artist by a steering group comprising the Leader of the Council, Imperial War Museum curators, the Royal Society of Arts and an independent curator. 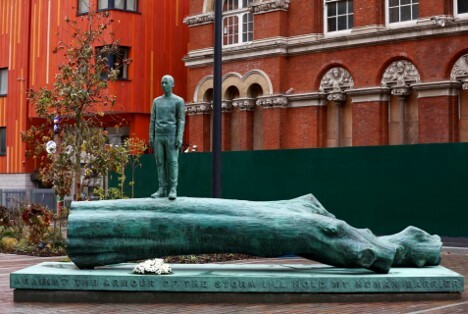 The sculpture was unveiled in November 2018 at a thought-provoking dedication event, which included addresses from the Mayor of Southwark, Lendlease, community groups from throughout the borough and the artist.